Hörmann UK is pleased to announce the launch of its latest product, the ProMatic Canopy Door Operator. The ‘world first’ canopy operator has been designed to provide homeowners with not only an unrestricted drive-through height, but with the ability to automate their canopy garage door quickly, conveniently and safely from the comfort of their vehicle. “Renowned for the quality of our products, the recent launch of our ProMatic Canopy Door Operator not only enhances our existing offering, but provides homeowners with a solution to meet the changing requirements of our customers. 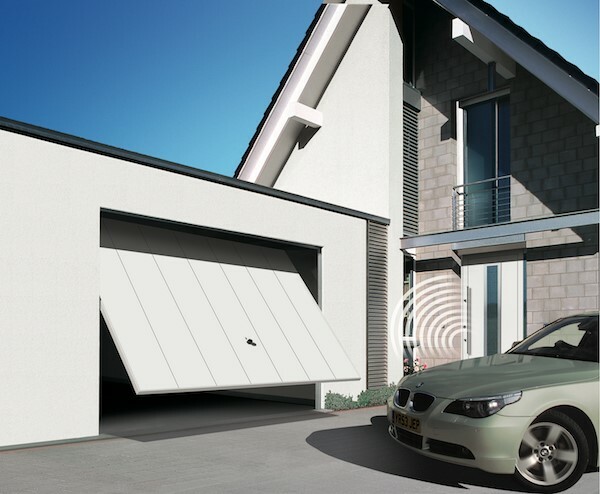 “When added to the tried and tested ProMatic Operator, the new canopy door kit not only provides smooth and trouble-free automatic opening at the touch of a button, but drive-through height is increased to provide them with a safe and convenient solution for operating their garage door. The ProMatic Canopy Door Operator forms part of Hörmann UK’s extensive range of operators available for various types of garage door. To find out more about the latest product from Hörmann UK, visit www.hormann.co.uk, or call 01530 513 000.